It’s been relatively quiet over the last few months as far as the jailbreak community is concerned. Sure, tweaks have been created, updated, and pushed out to Cydia for devices with access, but there’s been no real jailbreak tool chatter for a whole. Until now, that is. A new tool named Saïgon has been released which operates as a jailbreak for iOS 10.2.1 by utilizing a number of exploits which have been pushed into the public domain over the last few months. 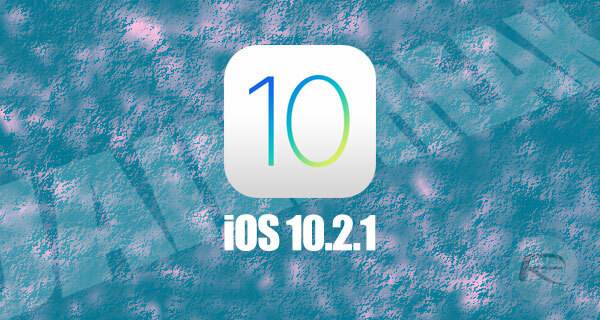 The jailbreak has officially been released into the public domain to liberate devices running iOS 10.2.1 from Apple’s stranglehold, which is wonderful news for those who have been sitting patiently on this firmware waiting for a release of this nature. However, it comes with a fairly sizeable caveat which could be a showstopper for a lot of people. This isn’t available as a downloadable IPA file that you can easily sideload using Cydia Impactor on your PC or Mac connected to your device via USB. At least not yet. Though it is said to be coming soon. Right now, it is available as a Xcode source project that you will have to compile yourself and then run on device. That’s why we say it’s currently for developers only. Having said that, and as mentioned earlier, if interest in this is big enough, it’s very likely that a developer with better knowledge and capabilities will step forward soon enough to change the way it is deployed to make it easier for device owners. For those who are au fait with Xcode, and who are sitting on iOS 10.2.1 with a 64-bit device, once the Saïgon jailbreak app is compiled and deployed on the device, from there on it’s quite straightforward as you would expect. 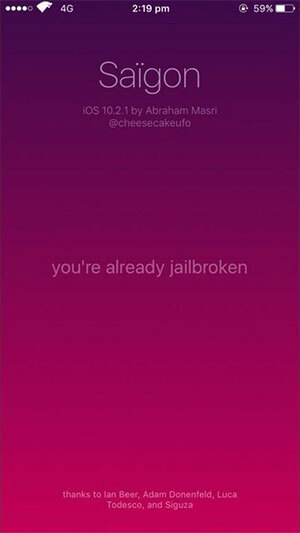 All you need to do is to simply launch the app, tap jailbreak button just like you would with previous jailbreaks, and the package goes about its business of jailbreaking iOS 10.2.1 using various exploits (triple_fetch+ziva+extra_recipe) released by Adam Beer, Adam Donenfeld, and Luca Todesco. This jailbreak has been created/compiled by Abraham Masri. For more information on it, as well as link to download the Xcode project, head over to its GitHub page here. The window for 10.3.3 closed a week or so ago. But if you have a 6s the signing window has reopened for that device only. Saigon public ipa release date ?? you made a mistake there, it should read Ian Beer and not Adam Beer. Pointless if it has a 7 days certificate like Yalu102 (though I see nothing like that is mentioned). Even pointless if is not Untethered. Going to stick to iOS 10.1.1 as the rest of iOS 10 firmwares are already closed for me anyway as I did not save the Blobs as no matter how many times I follow tutorials, I have no clue on saving them.